i have heard along the grapevine there may be some vintage/old school slalom events for the future 2013. Show us your vintage slalom set ups guys? I would be keen for this as well. We give the old stuff a run at Canberra. Not sure if I can still get this past scrutineering, since I updated the deck! Looks kool Bernie, what are the trucks? Yeah Vintage class would be some fun. We need to get another session at Allawah as soon as this weather cools down a bit. Make it a Vintage Slalom day where anyone can rock up but the emphasis put on classic gear rather than tech wars. i spoke to bernie and i have sent scotty t a pm for a contact for a chat to get some idea,s etc. Lets do it and come up with a formula. I know some old school bmxer,s who would be really keen for this as long as the course is not to hard for the palookas. Starting to restore an old sunski today. 40 cones in a straight line at 6 feet means anyone can try and make it if they can steer a skateboard. Style points (reverse cone penalties) should come into it, competitors may appeal for presentation style and judges can add for style during racing. Just some ideas. It's all about having fun for me and riding relics of the past so that's where my thoughts on a format are coming from. New Deck......almost looks like the advert, and ply decks were available late 70's, so that should be a tick each for the truck and deck! I also have some vintage wheels, does anyone know where to get the cones and balls for the open bearings????? I think we should also have a Penny class run over the same sort of course. 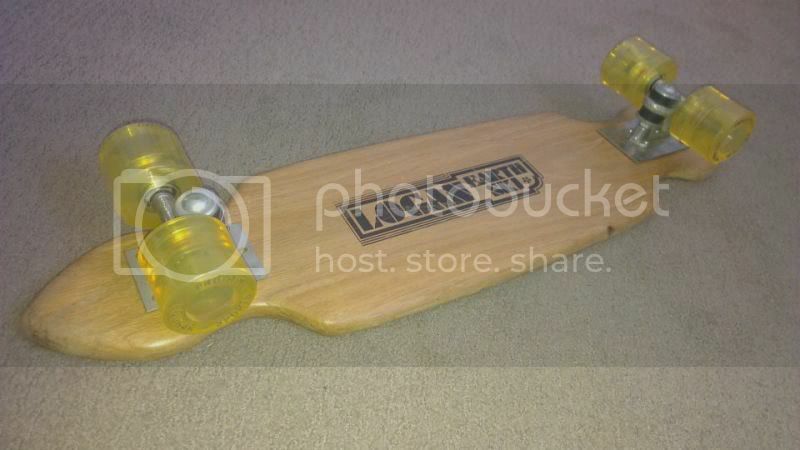 Standard 22" Penny or 27" Nickel board, only mod allowed is the bushings. That would give a true entry level competition, that would re-activate slalom for the next generation. Penny has already helped us with a race. 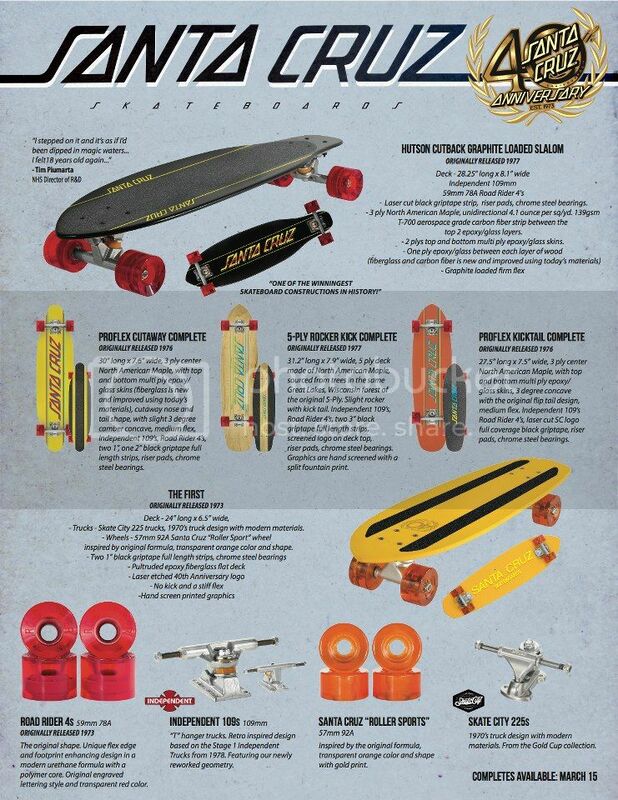 Besides a new Penny is heaps better than the old "rattle traps" and Condor's that we are looking at here! 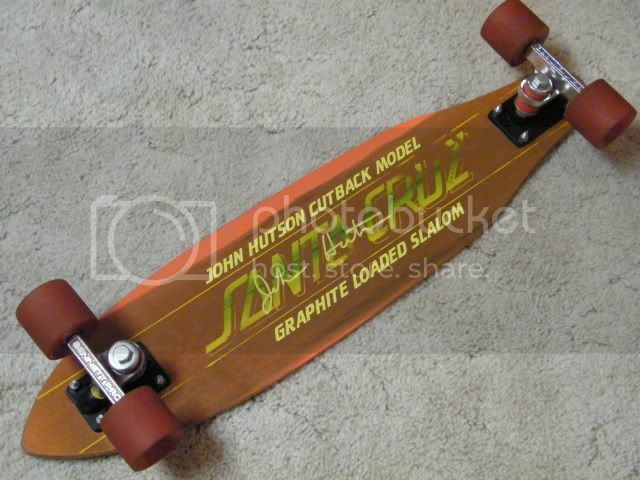 You know i am down fr this scotty t. I have an old calypso that needs a lot of work and i will find some os trucks and wheels and then i will post a pic. If there is any more help wanted guys, please sing out. Bernie, i have sent you a pm with some info where you may get your hardware dude. ha, just found an old set of mid sized california slaloms, forgot i had them..